A loft conversion is essentially a type of house extension that makes use of the roof space in your home. Loft extensions can make your home feel like a totally new house with an extra bedroom and bathroom, a home office or playroom, or a hang-out den for those growing teenagers who crave their own space. It’s the quickest way to add extra space and value to you home. Mostly built on detached, semi-detached or end of terraced houses because they make use of the separate side of the roof. At CV Builders we convert the loft by extending one side of the roof outwards to make it vertical to the top of the house structure. This provides the homeowner with a large space that can incorporate an extra room or two and a bathroom. Our loft conversions are always created to be aesthetically pleasing and to complement the rest of the building. The most common type of loft conversion since they are the simplest to do. The dormer loft extension makes use of the structure that already exists in your home, such as the roof and stairwell, andcan add quite a considerable bit of extra head and floor space in the newly create room. Dormer loft extensions can be carried out on most types of houses and do not always require planning permission. This is the type of loft conversion that often needs more work because it changes the structure of the existing roof quite a bit. The payoff is that you create a large space that can be tenfold in size and therefore add quite a bit of value to your house. 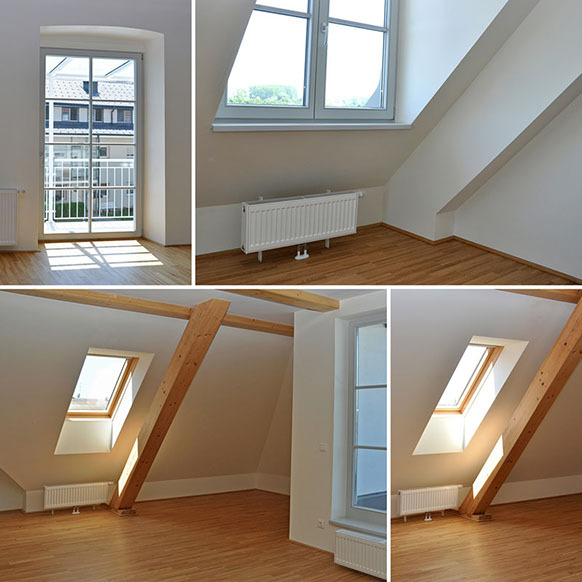 The mansard loft conversion has a flat roof with the back sloping inwards to create as much space across the width and length of the house as possible while remaining within council building guidelines. As with all loft extensions carried out by CV Builders we always work to ensure the loft conversion is carried out to complement the existing structure of the house. Some homeowners or property investors already have planning permission and architectural drawings in place for their loft conversion and simply use us to carry out the work. Others need help from start to finish to seek council planning permission for their loft conversion and to draw up plans for its look and feel. Whatever your needs, with CV Builders you are in the hands of a building firm with both the experience, qualifications and know-how to get it done right.